The emergence of a great variety of socially engaged art in Indonesia during the 21st century is premised on two discrete but interdependent trajectories: the absence of adequate official (national) infrastructure supporting contemporary art and the growing possibilities for artists brought about by transcultural collaborations. These intergrated socio-cultural developments have strengthened the interest in the transformative power of artistic practices and enforcement of better art ecosystem. Through an interdisciplinary approach, the study will provide new perspectives for understanding the contingencies of artists, art institutions and art collectives amidst of the transnational flows of agency, funding, knowledge exchange and civil society formation in Indonesia. Varied forms of urban creativity, from urban gardening and furniture to street art and flash mobs, are reshaping the urban fabric across cities in Asia. While the genealogies of some specific forms (e.g., murals) are gaining scholarly attention, the growing impact of these (un)authorised manifestations to the social and cultural capitals of specific localities is not yet understood. The main aim of this trans-disciplinary research is to respond to these gaps of knowledge and provide new perspectives for understanding the human aspects of urbanization, globalization and changing value structures occupying the cities today. The significance of urban creativity lies in its ability to question the current power structures in society. 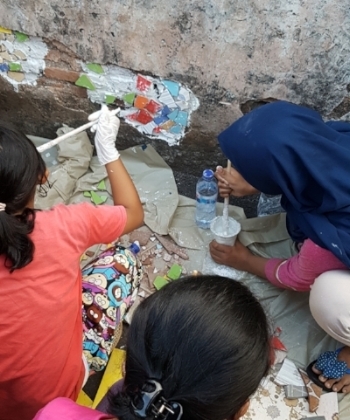 Mosaic workshop in Jakarta, Indonesia by Micro Galleries 2017. © Minna Valjakka. 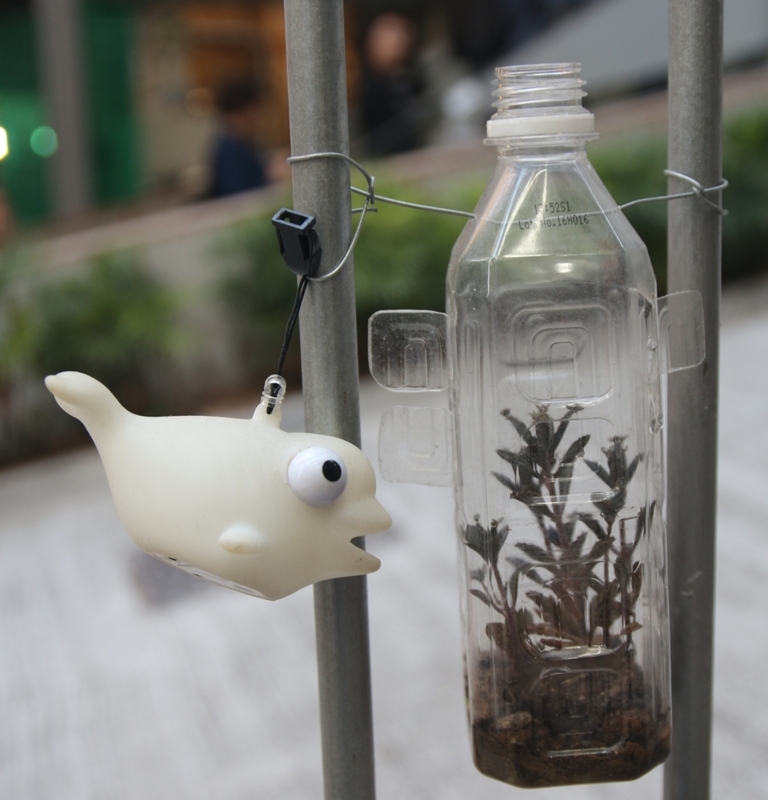 Informal urban gardening at Sai Ying Pun, Hong Kong 2017. © Minna Valjakka. Urban Gardening in East and Southeast Asia: Transformations in Perspective and Practice. The resurgence of urban farming and gardening has taken an eminent role in cities across East and Southeast Asia over the last few years. This interdisciplinary project aims at understanding the varied urban gardening and farming practices as well as their socio-political, cultural and historical significance for well-being, community building, participatory urbanism, civil society and redevelopment of the urban environment in Singapore, Hong Kong, Taipei and Seoul. This is the first academic research with comparative approach in the regional context that seeks to examine the significance of urban gardening and farming for the past, today and future. The interdisciplinary framework builds on Urban sociology, Environmental aesthetics, Planning and governance, and History and legacy. The four cities are chosen for their position in shared historical trajectories: they are at the turning point where there is a significantly stronger ecological awareness, more active urban citizenship, and new forms of economic and communal experimentations. The comparative perspective also derives from their historical imperial past – which connect them with colonial British and Japanese regimes, and their geographic situation as regional hubs for the exchange of people, belief systems and scientific knowledge. At the same time, these cities share future challenges in terms of ageing populations, sustainability, and food security. In all four cities urban farming and gardening are increasingly seen as a way to combat these concerns by improving citizens’ well-being and quality of life; enhancing the aesthetic experience of city-space; providing an alternative source of sustainable, healthy food; and, moving toward an ideal future city. This project will deliver significant insights on how high-density cities in the region, such as Singapore, can develop urban farming and gardening activities in socio-politically and ecologically sustainable ways and, how farms and gardens can be sites of community building, place belonging, and environmental citizenship. The new interest in urban cultivation necessarily requires a reframing of the urban-rural link. An interdisciplinary study of transformations, contingencies and challenges of urban creativity in Hong Kong, including yarn bombing, street art, contemporary graffiti, installations, street photographs, guerrilla gardening and urban furniture. To appropriately contextualize the varied genealogies of the manifestations, the translocal mediations, and the material and immaterial interrelations with urban public space, the research developed novel conceptual approaches, such as site-responsiveness. Honouring King of Kowloon, Hong Kong, 2013. © Minna Valjakka. Urban knitting commemorating the MV Sewol ferry incident in Gwangju, 2015. © Minna Valjakka. This three-year postdoctoral research project examined artistic and creative practices in urban public space in East Asia. Urban art is an essential phenomenon of visual culture, with diverse sociopolitical and cultural impacts. It is inherently related to activities of civil society and protest movements. The interdisciplinary research was based on theories and methods deriving from Art studies, Asian studies and Urban studies. The main focus was on the forms of contemporary graffiti and street art that leave a visible imprint on urban public space. Usually urban art is created outside of official art institutions but, despite being unofficial, it is not necessarily anti-institutional. The long-term ethnographic research (18 months in total) in Hong Kong, Tokyo and Seoul enabled in-depth fieldwork, laying a solid foundation for understanding other phenomena in contemporary art as well. The results yielded by this project can be used for further studies in arts, cities and civil society activities. Multi-perspective research project questioning the prevailing assumptions of Chinese women's roles, representations and forms of agency in the past and today, resulting in the award-winning edited volume, Enemmän kuin puoli taivasta [More Than Half the Sky]. Hong Kong Tatler's advertisement in Hong Kong, 2013. © Minna Valjakka. This pilot project helped develop feasible methodological and theoretical frameworks to examine this understudied phenomenon in Hong Kong.